(Isa) I was really nervous how everything was going to turn out. I wanted the pictures to look beautiful. 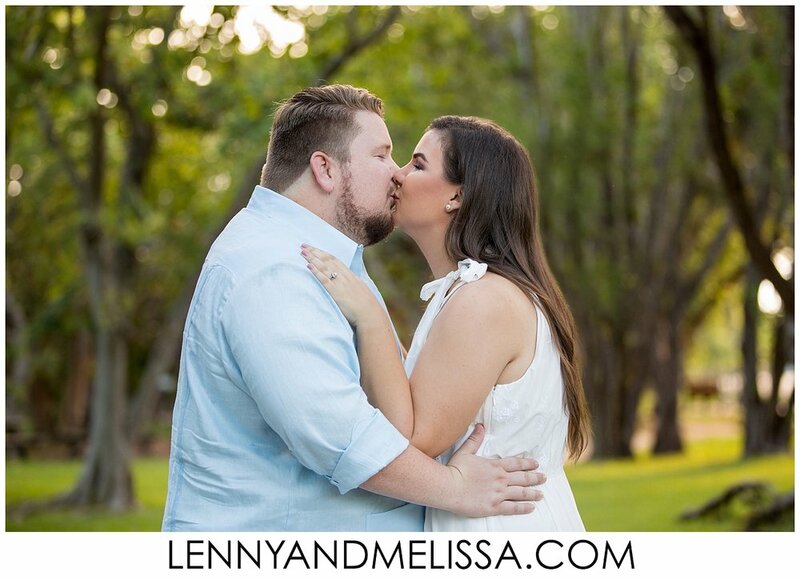 I was afraid it was going to be awkward but Lenny and Melissa really made us feel comfortable. Erik and I were able to be silly and ourselves. It really did just flow. They showed us some basic tips which including "turtling" that we particularly found entertaining. (Erik) Two funny moments for me during the photo shoot were when I almost fell on the path to the beach and when I almost dropped Isa when doing the dip for the dance on the beach as my foot sunk into the sand at that same moment. 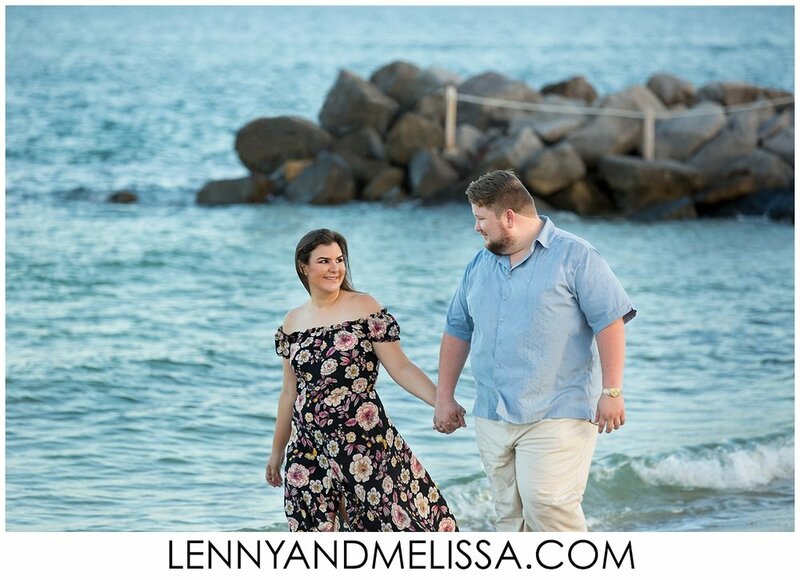 (Both) We were both pretty nervous and self conscious as to how we would look in the photos but Lenny and Melissa made us feel comfortable and relaxed. We couldn't be happier with our pictures! Yes definitely! We can read Lenny and Melissa's minds during the photo shoot and we work very well together. We're excited for our wedding pictures!